Formerly the Hard Rock Cafe site. 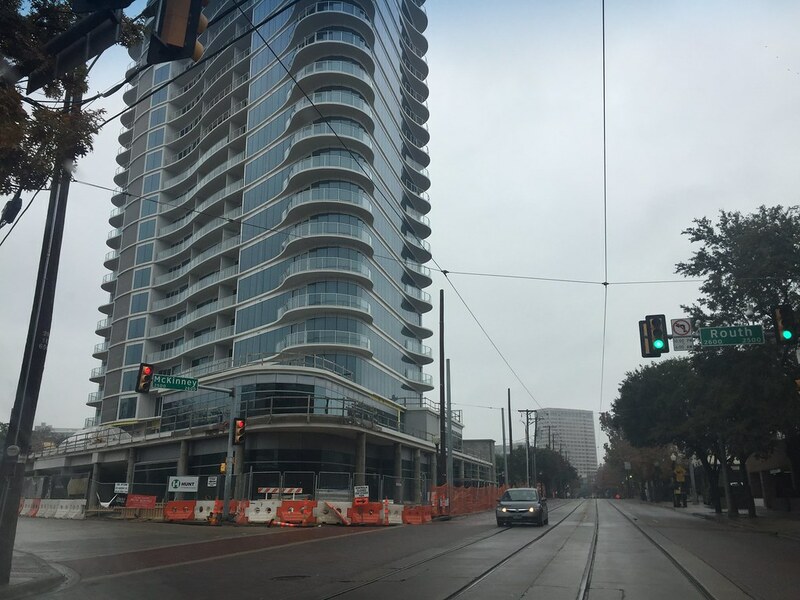 Is this a good start to more interesting architecture along Middle McKinney (MidMck)? I want to see a trend revived in Dallas, and that's Art Deco. Amazing picture! Are there updates on the completion date of this one? The website says "Fall 2016", so I assume it should be done soon. Is this still slated to have a Fogo de Chao at the street level? 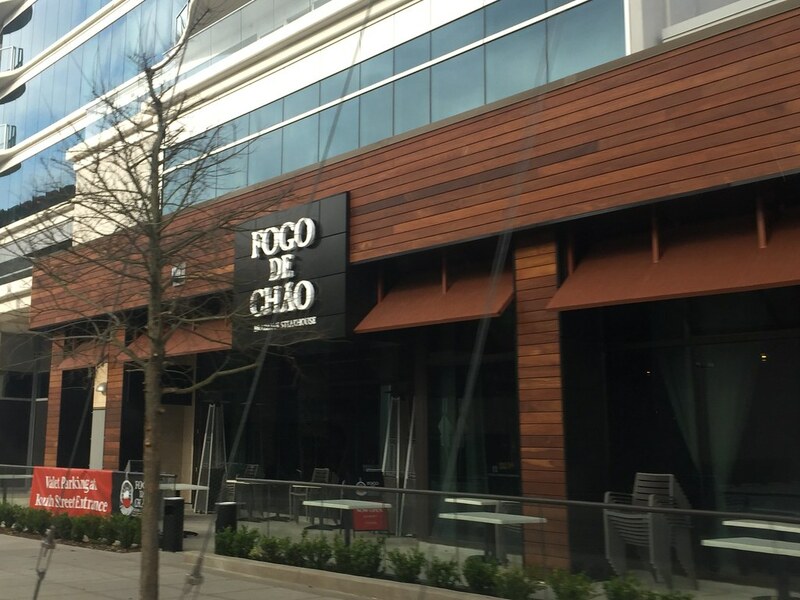 ArtVandelay wrote: Is this still slated to have a Fogo de Chao at the street level? Because Americans are all about eating way too much food with unlimited portion sizes. That said, I've been to this restaurant in downtown Norfolk at the MacArthur Center and it's pretty good, except for the meat sweats afterwards. Thanks for the pictures! I had some friends visiting from out of town, so I actually took them on a walking tour through Uptown, Downtown, and a bit of Bishop Arts. 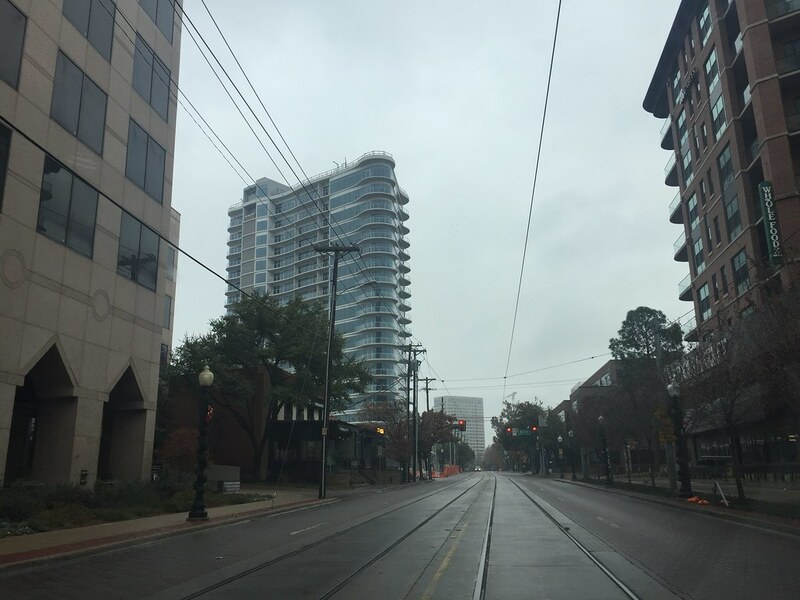 Unfortunately the day was a bit dreary and businesses were closed because of Christmas eve, so the city wasn't that lively today. The LED lights between floors have been slowly being turned on and tested since this past weekend. From McKinney Ave, there are several floor strips that were lit when I saw them on Saturday night. From my vantage point in Turtle Creek, only the top strip has been lit. So far, only white has been the color. 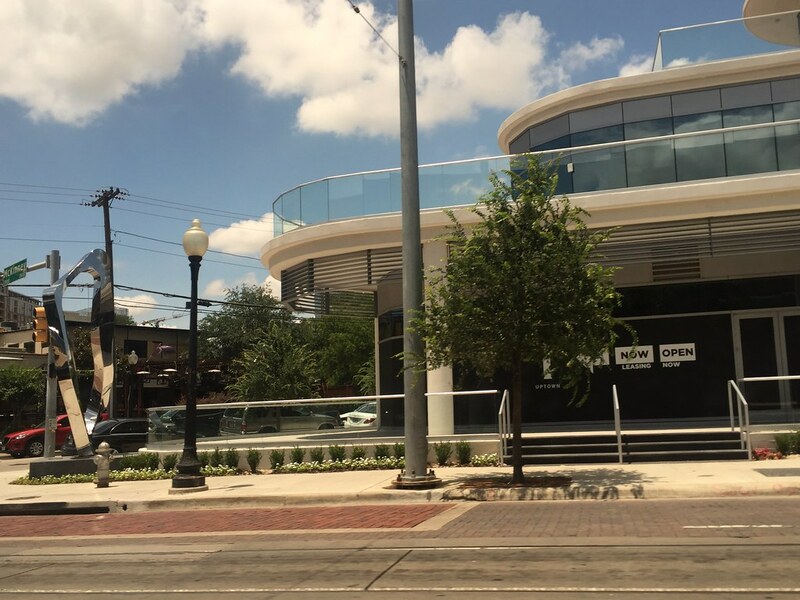 Also, Fogo de Chao is also coming along with most of the street presence built out now. It actually kind of eases the transition with Black Friar on the street level since it is right next door. For some reason, I'd thought it was going to be across from Fat Rabit. Last edited by Dmkflyer on 19 Jan 2017 11:49, edited 2 times in total. I agree. Fogo looks good next to BF. The lights are very cool! 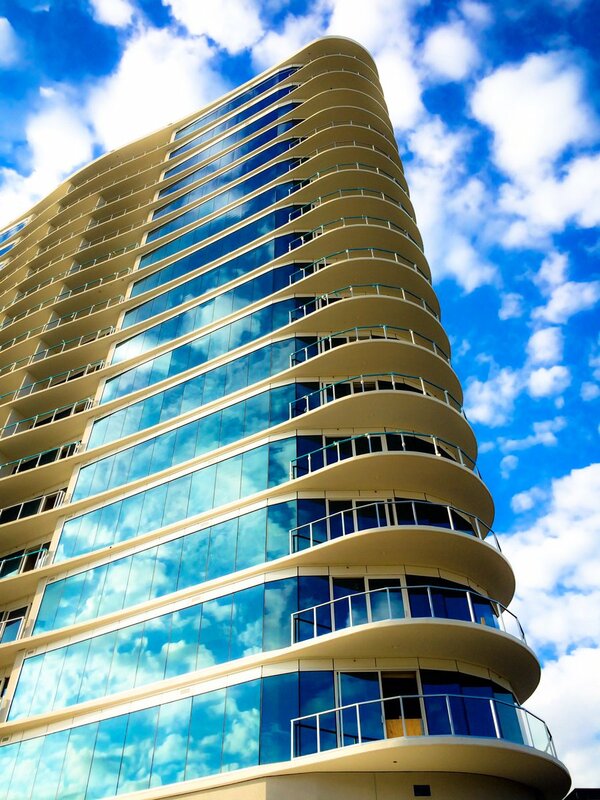 This is one sharp building. We need more of this! 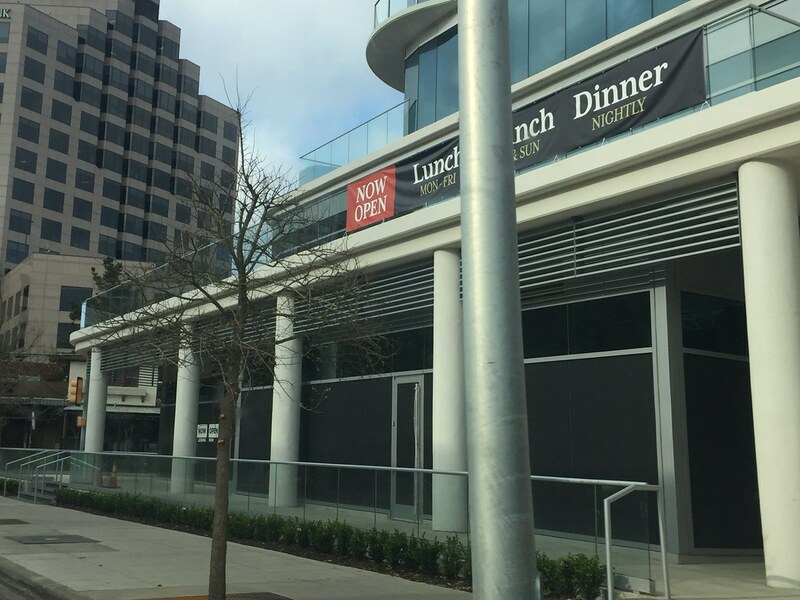 The plan is for Fogo de Chao to open next Monday, February 13. The furniture was delivered last week and the staff is training.this week. Anyone have pix with the lighting on? Training Lesson Number One, team: Do not stab any customers with a meat knife, no matter how tasty they look. R1070 wrote: I agree. Fogo looks good next to BF. The lights are very cool! This is one sharp building. We need more of this! Building looks great. Fogo seems like a very odd choice for a restaurant there. I'll be curious to see how long they last there. My guess is that they won't make it more than 3 or 4 years at most, but I could be wrong. Fogo wouldn't be too far from all the high-end restaurants a bit further down, so perhaps this is just the lower side of McKinney slowly working its way north. Tivo_Kenevil wrote: Anyone have pix with the lighting on? The building looks amazing tonight! Now that's some Miami style lighting right there! I love it. I noticed during the superbowl footage that downtown Houston looked dark with almost no lighting really dull could barely see it at night. I love Dallas skyline as it looks hopefully towards the future. joshua.dodd wrote: Now that's some Miami style lighting right there! Saw this last night, colors were different so maybe this changes a lot? I'm sure its days are numbered. I feel like that strip could also potentially be quickly/cheaply converted into a trinity groves style restaurant strip, rather than being torn down and re-developed. Get rid of the surface parking, convert it to a pedestrian only plaza with patio space, and fill the spaces with restaurants. While you're at it, maybe add a rooftop patio as well? I do like that this strip offers some good retail variety in Uptown, but it's in a very prime location, and it really needs to be far less car-oriented. Unfortunately, there still are a ton of strip malls along McKinney. But, as you can see from those pictures, dense high rise development is slowly encroaching and eating all the real estate up. joshua.dodd wrote: Unfortunately, there still are a ton of strip malls along McKinney. But, as you can see from those pictures, dense high rise development is slowly encroaching and eating all the real estate up. Yep, it's just a matter of time. I'm personally excited for the tower which will be going in across the street. It seems to me to be the perfect midpoint between One Uptown and the nearby Whole Foods building. What a great neighborhood this is going to be in a few years! What's the name of that project? when is it supposed to start? 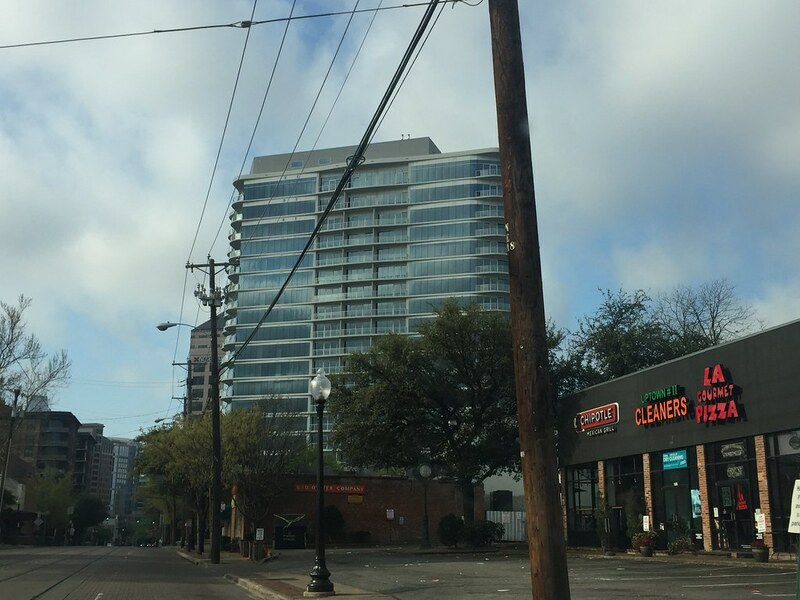 McKinney / Boll Tower. Some reports state development would start 1Q 2018. Ya'll will have to play close attention to the political direction development is going along Mckinney Ave though. The neighborhood organizations that have a lot of power have been demanding less bars and more valet restaurants. The neighborhood is tired of the bar crowd in some form and will be able to strong arm development that goes against their desires. Currently that shopping center does nothing to negatively affect the neighborhood other than be in a less than satisfactory suburban form in a recently urban context. Currently it houses retail some of with is neighborhood service which the neighborhood needs to maintain a balance from being only night time entertainment oriented. 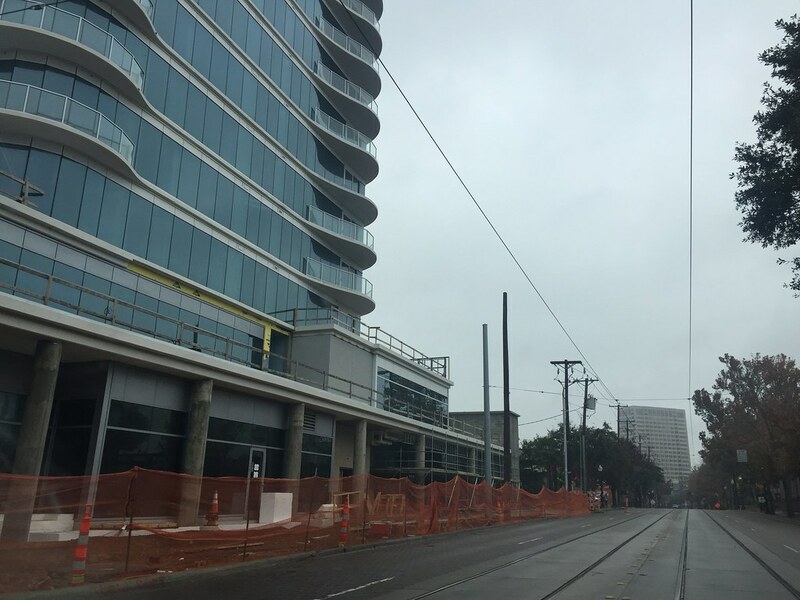 The number of bars along McKinney Avenue will increase, just not nearly as much as everything else along McKinney Avenue. The only reason McKinney became a big party destination is the demise of the Deep Ellum party scene. The bar party scene along McKinney today may represent what would naturally be there in five or ten years, it's just when everything else on the street catches up, the party scene will not be as raucous and inconsiderate simply because the rest of the scene will temper it, a systematic nightlife checks-and-balances. Deep Ellum is spread out, and can handle it, and SHOULD handle it. Whether or not the city has learned how to police an Everything's Bigger in Texas party is the wildcard. Very cool picture! Thank you for posting! What a view ... Dallas is looking so dense ... and to know there are many more towers yet to join that beautiful skyline view from One Uptown! I just wish One Uptown was 30 stories instead of 20 ... the view would have then been truly breathtaking!